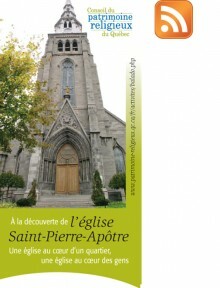 Despite the passage of time and numerous historic and social upheavals, the church of Saint-Pierre-Apôtre has remained a gathering place. It is an open space, where unconditional hospitality reigns, and whose reputation transcends the physical boundaries of the parish. Over the course of your visit, we invite you to discover the first architectural work, and one of the greatest masterpieces, of Victor Bourgeau. You will cross paths with people who have marked the history of both the parish and the city, including Mgr. Ignace Bourget, Mgr. Eugène de Mazenod, Pierre Beaudry, Sir George-Étienne Cartier, and the Sulpicians. This visit includes 20 audio stops. * Any reproduction or dissemination in print or multimedia format, or on Web sites other than this one, is prohibited. Thank you for your cooperation.